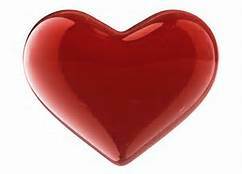 The word “love” can have a variety of related but distinct meanings in different contexts. Many other languages use multiple words to express some of the different concepts that English relies mainly on “love” to encapsulate; one example is the plurality of Greek words for “love.” Cultural differences in conceptualizing love thus doubly impede the establishment of a universal definition. Although the nature or essence of love is a subject of frequent debate, different aspects of the word can be clarified by determining what isn’t love. Love as a general expression of positive sentiment (a stronger form of like) is commonly contrasted with hate (or neutral apathy); as a less sexual and more emotionally intimate form of romantic attachment, love is commonly contrasted with lust; and as an interpersonal relationship with romantic overtones, love is sometimes contrasted with friendship, although the word love is often applied to close friendships. 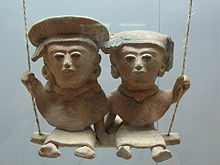 Fraternal love (Prehispanic sculpture from 250–900 A.D., of Huastec origin). Museum of Anthropology in Xalapa, Veracruz, Mexico. Abstractly discussed love usually refers to an experience one person feels for another. Love often involves caring for or identifying with a person or thing (cf. vulnerability and care theory of love), including oneself (cf. narcissism). In addition to cross-cultural differences in understanding love, ideas about love have also changed greatly over time. Some historians date modern conceptions of romantic love to courtly Europe during or after the Middle Ages, although the prior existence of romantic attachments is attested by ancient love poetry. The complex and abstract nature of love often reduces discourse of love to a thought-terminating cliché. Several common proverbs regard love, from Virgil’s “Love conquers all” to The Beatles‘ “All You Need Is Love“. St. Thomas Aquinas, following Aristotle, defines love as “to will the good of another.” Bertrand Russell describes love as a condition of “absolute value,” as opposed to relative value. Philosopher Gottfried Leibniz said that love is “to be delighted by the happiness of another.” Biologist Jeremy Griffith defines love as “unconditional selflessness”. Love is sometimes referred to as an “international language” that overrides cultural and linguistic divisions. “Love is a many splendid thing.” “Love makes the world go ’round.” One of the problems with discussing the topic of “love” today is that people mean so many different things when they use the word. In our American pop culture the word love almost entirely means Romantic Love or else it reduces to Sexual Passion. The larger philosophical meanings of the word “love” are almost entirely overlooked. And yet there may well be as many different kinds of “love” as the Eskimos have for the word “snow.” At the very least the word “love” includes the ideas of companionship, Friendship, Eros (desire for the beautiful) and Agape (unconditional selflessness). The idea of mutual reciprocity may also be considered as a mild and well mannered form of love. To love is to will the good of another. Some individuals have developed an extraordinary capacity to love, appreciate, affirm, delight in, relate to, empathize with, and “will the good of others.” Scientists and philosophers can debate to what extent this capacity is the result of the influences of nature, nurture, spiritual freedom, ethical character and existential choice. To the extent that we value the experience of “loving others and being loved,” we will want to understand “the art of love” as a key ingredient to a full and happy life. Why are some people able to love so generously and freely without selfish regard while others seem to be trapped in negative states of fear, hatred, hostility, envy, jealousy, indifference, arrogance and inferiority? To what extend can we learn to be more loving and caring persons? What are the risks and rewards of choosing to care about, act on behalf of and will the good of others?